Dr. Jessica Kunert is a member of Prof. Michael Brüggemann’s team at the chair of Communication Studies, Climate and Science Communication since December 2018. In press: Kunert, Jessica (2018): Algorithms and Robots as New Journalists. In: Osburg, Thomas/Heinecke, Stephanie (Eds.) (2018): Media Trust in a Digital World. Wiesbaden: Springer. Thurman, Neil/Dörr, Konstantin/Kunert, Jessica (2017): Journalists get hands-on with robo-writing. Professionals consider news automation’s capabilities and consequences. In Digital Journalism, Vol. 5, No. 10, S. 1240-1259. Thurman, Neil/Kunert, Jessica (2016): Country Report: Journalists in the United Kingdom. Worlds of Journalism Study. Online: https://epub.ub.uni-muenchen.de/30989/1/Country_report_UK.pdf. Thurman, Neil/Cornia, Alessio/Kunert, Jessica (2016): Journalists in the UK. Oxford: Reuters Institute Reuters Institute for the Study of Journalism. Kunert, Jessica/Schmidt, Jan (2011): Hub, Fine-Tuner oder Business as Usual? Social Network Sites und die Bundestagswahl 2009. In: Schweitzer, Eva J./Albrecht, Steffen (Eds.) (2011): Das Internet im Wahlkampf. Analysen zur Bundestagswahl 2009. Wiesbaden: VS Verlag für Sozialwissenschaften, S. 226-243. Interviews mit Darryn Lyons, Michael Kneissler; In: Bergmann, Jens/Pörksen, Bernhard (Eds.) (2009): Skandal! Die Macht der öffentlichen Empörung. Köln: Halem-Verlag. In press: Kunert, Jessica (2018): Review of “Journalism and Social Media. Practitioners, Organisations and Institutions” by Diana Bossio and “Gatewatching and News Curation: Journalism, Social Media, and the Public Sphere” by Axel Bruns. In: Publizistik. Kunert, Jessica (2016): Review of „Die Online-Kommunikation von politischen Interessengruppen in der Schweiz“ by Matthias Brändli (2015), In: Medien & Kommunikationswissenschaft, Vol. 64, Nr. 1, S. 121f. Kunert, Jessica (2015): Review of „Social-Media-Kommunikation nationaler Regierungen in Europa. Theoretische Grundlagen und vergleichende Länderanalysen“, edited by Holger Sievert/Astrid Nelke (2014), In: Medien & Kommunikationswissenschaft, Vol. 63, Nr. 3, S. 434f. 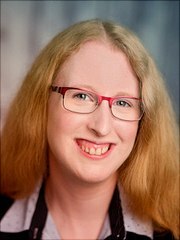 Kunert, Jessica (2015): Die Webseiten der Europaabgeordneten: Wie informativ und transparent präsentieren sich MdEP im Netz. Weblog „Hamburger Wahlbeobachter“. URL: http://www.hamburger-wahlbeobachter.de/2015/08/die-webseiten-der-europaabgeordneten.html. Kunert, Jessica (2015): How websites help MEPs to reconnect with citizens. Weblog „Political Insight“ of the Political Studies Association UK. URL: http://www.psa.ac.uk/insight-plus/blog/how-websites-help-meps-reconnect-citizens. Presentation „A Qualitative Analysis of Consumers’ Perceptions of Short-Form Online News Videos” with Neil Thurman and Sally Stares at the ECREA Journalism Studies Section Conference in Vienna, 14-.15.02.2019. Poster presentation „The Phantom Menace or a New Hope? : How German Sports Journalism is Affected by Automation in the Newsroom” at the Sports, Data, and Journalism Conference in Zurich, 25.10.2018. Presentation „MEPs on the Web. The European Parliament, its communications function, and the new digital media“ at the Centre for the Study of Democracy of Leuphana University Lüneburg in Lüneburg, Germany, 25.06.2013. Presentation „E-Participation in the European Multi-Level System. Supply and Use of New Digital Media in the European Parliament“ at the Centre for the Study of Democracy of Leuphana University Lüneburg in Lüneburg, Germany, 29.05.2012.